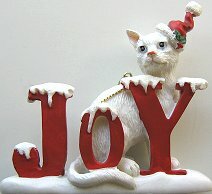 Cats bring joy into our lives and we remember that each holiday. 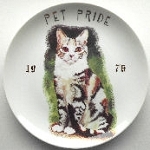 This ceramic cat ornament featuring a white cat that is 3 1/2" wide x 3 1/8" high. Loop for hanging.